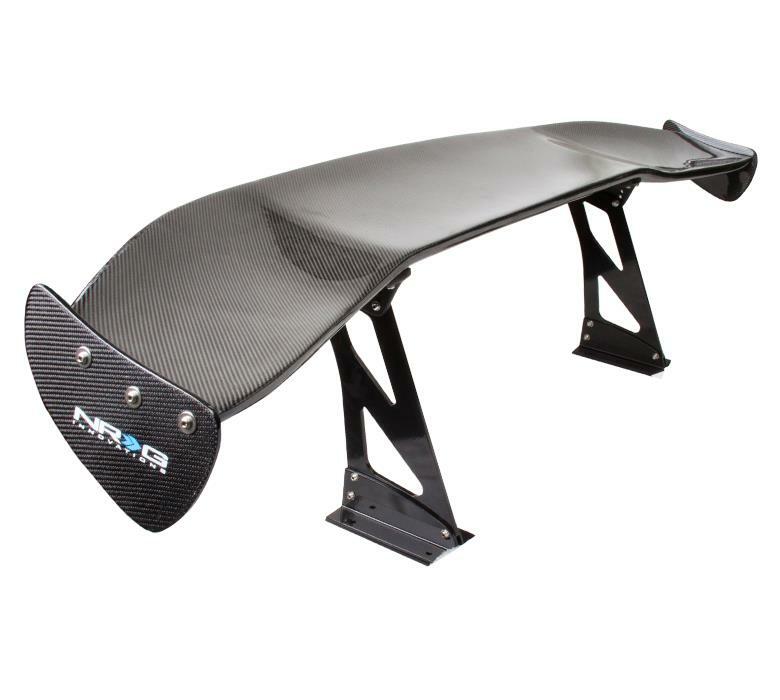 NRG Carbon Fiber wings are made with high quality lightweight carbon fiber glass. Increases fuel efficiency and reinforces downforce, traction and stability. Easy to install, professional installer is highly recommended.